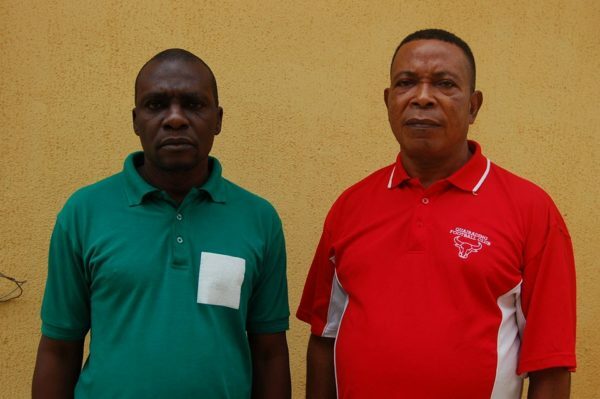 The Economic and Financial Crimes Commission (EFCC), has arrested one Tariah Otumba Fred, a staff of the Federal Ministry of Environment in Bayelsa State for allegedly being a serial fraudster. The suspect is alleged to have opened an account using the name, “The Controller, Federal Ministry of Environment, Bayelsa State” in which he was a signatory alongside one Education Zghadina who has also been arrested by the Commission. Fred’s modus operandi was to give companies in the state demand notice that they should make payment to the Federal Ministry of Environment for environmental impact assessment permit. The suspect who also presented himself as pollution coordinator of the ministry, a position that does not exist, employed officers whom he issued identity cards as Revenue Collecting agents for the ministry. When a search was conducted in his house, several incriminating items including fake Identity cards of various organizations, stamps of different organizations, letter heads of the National Inland Waterways and Ministry of Environment, and Identity card with his picture as a Navy Captain were recovered. A statement by the EFCC said that the suspects will be arraigned in court as soon as investigation is completed. I suppose Change begins with them. clap for ursef efcc….ok here’s a biscuit for u. run fetch it dogs! awon useless! “alleged to have been involved in forgery, extortion, obtaining money under false pretence, impersonation and other fraudulent activities.” very good, but when almost everybody is a thief nko? What happened to the school feeding program? Yes the federal government is impoverishing and has impoverished us, but at least if they can give the children food, we can survive till 2019 when they will be kicked out.